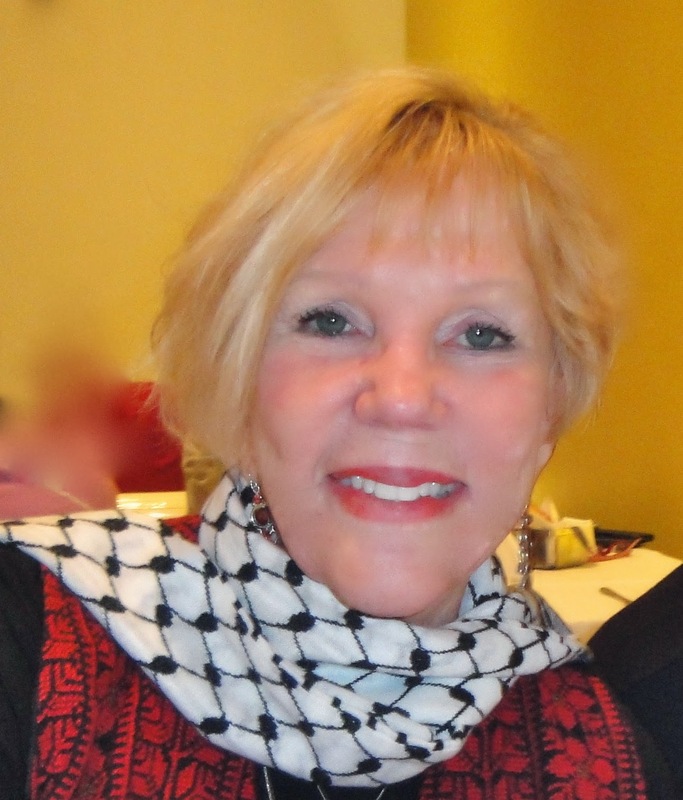 Greta Berlin is a strong fighter for the Palestinian cause. An activist with a heart and an inspiring will for change, Greta's work for Palestine has been a significant part of the movement for Palestinian self-determination. What got you into activism for Palestine? Like a lot of activists who fight for Palestine, I met a Palestinian and married him. So many others know Palestinian people as friends, as spouses, as roommates, as teachers, as students, or as colleagues My husband was driven out of Safad, Palestine in 1948, and I have been working with the Palestinian cause for forty-six years now. In the past 14 years, there are two things I have concentrated on; my volunteering with the International Solidarity Movement where I worked in the occupied West Bank with Palestinian farmers and shepherds. I was in Jenin in 2003, and later in 2005 in Bili’n. When I went back in 2007, I spent most of my time in Hebron, where I walked with children to make sure they were not attacked on their way to school by the illegal settlers. Then, in 2006, I co-founded the Free Gaza Movement, the initiative that sends boats to Gaza. I do not see myself as a Human Shield, but rather, as a Human Rights Watcher, someone who goes to occupied Palestine to watch, observe, document and bear witness to what Israel does to the Palestinians it occupies. In the course of your activism, what were your biggest challenges? What did you do to overcome them? I live in France since 2004, but lived in the US all my life until then. One of the biggest issues and challenges whilst in the US is getting people there to pay attention to the 66-year occupation of Palestine. Of course, we know what happened to the Jews who went through the Second World War, but what they suffered gives them no right to inflict such trauma on Palestinians, a group of people who had nothing to do with WW II! Never again simply means never again for everyone. 750,000 people were driven out of Palestine in 1948 and over 150,000 in 1967: and you never hear their narratives! In the US, we only heard the Israeli side of the story. I started working for the Palestinian cause orignally, because I was married to a Palestinian, but I have stayed because I was furious about being lied to all my life. We only get the Israeli narrative in the US – because the US funds Israel and its campaigns against Palestine. I am happy to say that the world is changing. It has certainly changed in Europe, where people have access to many more news channels than we have in the US and are much more sophisticated about what happens in Palestine. Why does the Palestinian voice remain unheard? Why aren’t we hearing their narrative? It is difficult to hear the Palestinian voice, because it is not given attention. The media, especially in the US, chooses not to show the Palestinian narrative, and instead uses the Israeli narrative, labelling them as terrorists and militants. But, this trend has been developing a lot of cracks in it, simply because social media has taken over from conventional media. People are hearing Palestinians now through online magazines, blogs, Facebook, Twitter, and so many other platforms. Palestinians have been oppressed, occupied and brutalised since 1948, and they were not heard until lately. For exampel, in 1967, I went to picket the Israeli Consulate in Chicago. There were just four of us: my husband, my two little children and me We couldn’t even find a Palestinian flag to hold. Today, the plight of occupied Palestine is becoming mainstream. 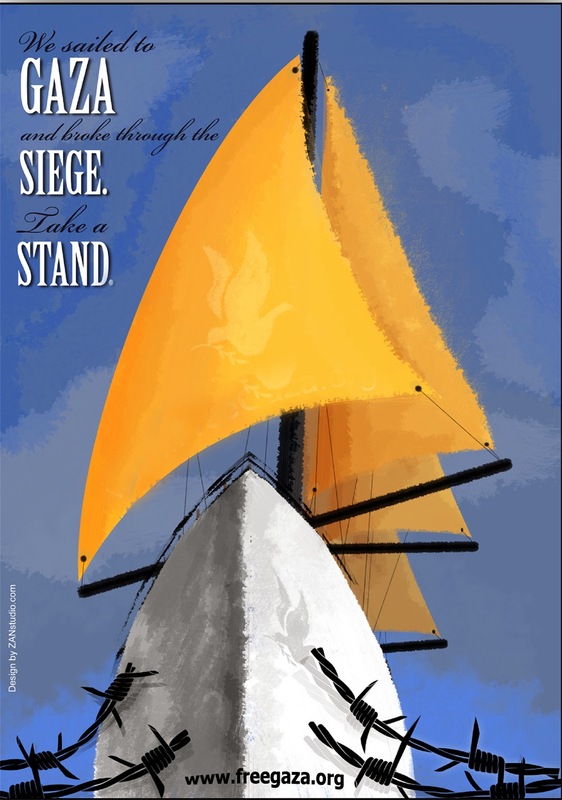 It is tremendous to see how many people are supporting the cause, from our boats to Gaza to the BDS movement to people going to see for themselves what Israel is doing. After 46 years of being involved in one way or another, I see the movement going faster and faster and am very encouraged. Having worked for the cause for a while now, do you see an end in sight? What would you say is a solution that needs to be pursued? I don’t believe that I have a right to advocate a solution, though, my former husband is Palestinian, and I have two children who are Palestinian. It is not my place, but I will always be a supporter for their cause. However, we all have our point of view, and, personally, I believe that the right solution should be one state – a state where all people are treated as equals and are guaranteed their rights. The idea of a two-state solution is simply crazy – it is like saying that the Israelis get to live in a mansion, while the Palestinians should remain in the dungeon. And yet, there are many supporters for the two-state solution. This happens for two reasons. On the Palestinian side, there is a longing, a sense of yearning for a home. They have been kept out of their land for a very long, that even a small fraction of land on 22% of what was once Palestine is important and sacred to them. The other reason – and I believe this bears a more sinister overtone – is that concentrating on a two-state solution single-handedly denies the right of return for the Palestinians who were driven out in 1948. A two-state solution will focus exclusively on the Palestinians driven out in 1967– when the 1948 Nakba was Israel’s original sin. Take us through your activism for Palestine. You’ve done some really inspiring stuff! I began in earnest again with advent of the 21st Century. I was winding down my career and knew I had time to actively get back into working for justice in Palestine, the way I had once done in the 60s. Of course there wasn’t Facebook or Twitter or Instagram at the beginning of the century, but, in 2003, 2005 and 2007, when I was working with the International Solidarity Movement, I could see what was happening to the world, Palestinians begn to be connected, through the Internet, through Google and through other social platforms. When we started working on the concept of sending boats to Gaza, it was social media that helped get the messages out. For example, the Free Gaza Movement was founded in 2006, Israel was busy bombing Lebanon. We five co-founders thought that if things were left as they were, and Israel was bombing Lebanon, the world’s attention was focused on Israel’s aggression against the civilian population there. Gaza, would just disappear altogether in the minds of the public, if it even was considered. We decided to buy a boat and sail it from New York City to Gaza – since most of us were no longer allowed to get into the Occupied West Bank, the boat seemed our best bet to keep the occupation of Palestine on the front burner. The Free Gaza Movement has always been a women’s movement. On our founding team, there were four out of five that were women, and women ran most of the funding. That doesn’t mean that men didn’t work with us. They did, and we could not have bee succesful without them. But the driving force has always been women. Even now, four of the five members on the Free Gaza board are women. I think that’s because women are more oriented towards finding a solution and not getting our egos in the way. We’re much more willing to compromise. Yet, Paul, Mary, Sharon, Renee and I really succeeded, because we didn’t know that we couldn’t. On the day we arrived in Gaza on August 23, 2008, 40,000 Palestinians were waiting for us at the port, cheering us on. It was day that we will never forget, one that brought hope to the people of Gaza that they were not forgotten. Actually, after that first trip, a groupof Palestinians stepped up and bought us a proper boat, a yacht we called the Dignity. On that boat, we got into Gaza four more times successfully. We had promised the people of Gaza three things; that we would return, that we would take out Palestinians when we could, and that we would tell the world about the illegal Israeli seige on 1.6 million Palestinians. We did all of those things until Operation Cast Lead when Israel started attacking us, ramming our boat, trying to sink another boat, hijacking a boat, stealing all of our equipment, and then, with Freedom Flotilla 1 in May 2010, murdering nine of our passengers. When we were able to get in, those heady days at the end of 2008, we took in Members of Parliament; Mairead Maguire, the Nobel Peace Laureate; journalists and labor leaders. Each trip was a testament to the determination that the Palestinians and we had. We were just absolutely determined that nothing was going to stop us. We organizers, by then, more than three dozen of us, each had our talents and banked on them to bring our movement to life. For me, I saw the whole project as a production, what with my Masters’ Degree in Theatre, with a director, a producer, actors, props and an audience of people watching the boats and reading our stories. What’s coming in the next couple of months on the activism front? We’re now working on an initiative called Gaza’s Ark. The ark, which started out as another ramshackle fishing boat, will set sail from Gaza into the world in the summer of this year, loaded with products from Palestine such as embroidery and olive wood carvings. The organizers of this project decided that, instead of sending a boat into Gaza, as the first 14 voyages were, we will send one out of Gaza and into the world. Just a reminder, Gaza is the only territory in the Mediterranean that doesn’t have access to its own sea. Finally, I would like women and girls around the world to use their voice and become activists. In this Gaza Ark project, they might have a woman captaining the Gaza Ark – just the fact that a woman came forward and volunteered to captain is simply wonderful. It used to be men running projects and women supporting them. But now, the time has come for women to run projects and men to support them. It has been a remarkable journey for me, one a new generation of women who are passionate about justice for Palestine. I am very encouraged about the state of activism in the world, and it feels great to see more and more women come out to support and fight for causes. Buy a copy of Freedom Sailors here. Read about Gaza Ark here.